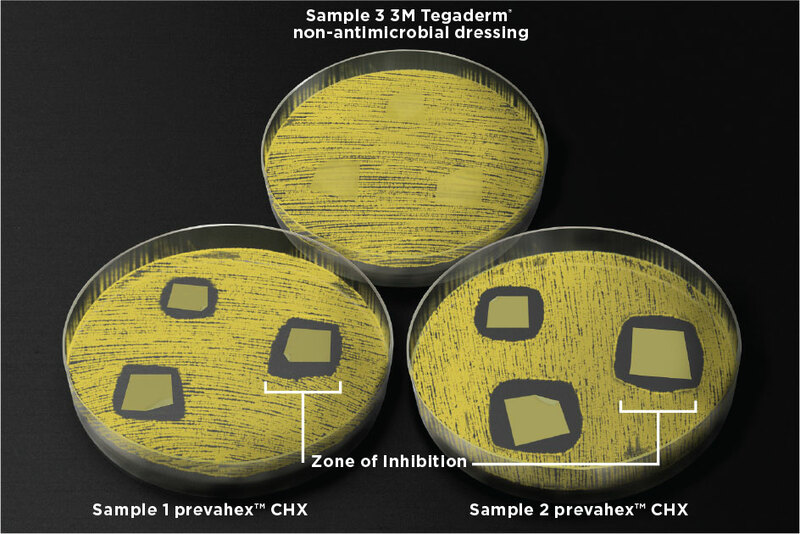 PrevahexCHX™ is the only antimicrobial dressing on the market that can offer complete CHX antimicrobial protection throughout the transparent areas of the dressing. This level of protection creates the best opportunity to reduce the risk of catheter-related bloodstream and surgical site infections. Zone of Inhibition testing (ZOI) demonstrated rapid bacteria elimination of multiple drug-resistant bacterial species both underneath and several millimeters beyond the perimeter of the dressing sample.